0-4674 with the 142nd TARS, Army National Guard, at Springfield, Missouri. N5348G at Renton - KRTN, Washington. C-GGSL sets out again, on the river at Selkirk. • 144674 United States Navy. Delivered 24-Oct-1956. Designated as UC-1A. Initially delivered to VX-6 at Quonset Point Naval Air Station, RI. Coded JD-11. Subsequently operated in the Antarctic from Mawson and McMurdo Bases until retired in Sep-1966. Total time. 741 hrs in US Navy service. • 0-4674 Army National Guard. Attached to the 142nd TARS (Transport Aircraft Repair Shop) of the Missouri Army Guard, based at Springfield, MO. (Note the hybrid Army / Navy serial.). • N5348G Civil Air Patrol (Southeast Region) Sep-1977. Unknown base although reported at Renton, WA., in May 1978. • C-GGSL Sioux Narrows Airways Ltd., Winnipeg, MB. Provisional Certificate of Registration and Flight Permit for Importation Flight was issued on 12-Oct-1978. • C-GGSL Parsons Airways Northern Ltd., Flin Flon, MB. Regd 11-Jan-1979. Canx 13-Jun-1985. • C-GGSL Central Air Transport Ltd., Sioux Lookout, ON. Regd Jun-1985. Canx 25-Jun-1986. • C-GGSL Enterlake Air Services Ltd., dba Selkirk Air, Selkirk, MB. Regd 19-May-1987. Canx 10-May-2005. Power-plant: Re-engined with a Polish PZL 1000 horse power engine. • C-GGSL Pipestone Air Inc., Emo, ON. Regd 25-May-2005. Otter number 166 was delivered to the United States Navy on 24 October 1956 with BuAer serial 144674. It was one of a batch of six delivered to VX-6 Squadron during September/October 1956 and was flown initially to the Squadron base at Quonset Point NAS., Rhode Island. All six Otters were transported to Antarctica, some by ship, some on board USAF Douglas C-124 Globemasters. 144674 was coded JD-11 in service with VX-6 and served in the Antarctic supporting exploration activity for ten years. 144674 was retired from VX-6 in September 1966 with 741 hours on the airframe. It was brought back to the United States and transferred to the Army National Guard, to the 142nd TARS (Transport Aircraft Repair Shop) of the Missouri Army Guard based at Springfield, Missouri. It retained its Navy colour scheme of day-glo undersides, wing-tips and tail, with silver wings and upper fuselage but adopted an unusual hybrid serial 0-4674. This was the 0- used by the Army to indicate an aircraft ten years old together with the last four numbers of the Navy serial. The Army’s official paperwork referred to its serial as being 56-44674, but 0-4674 was what was painted on the aircraft. After a time the Otter was repainted into standard Army olive drab. 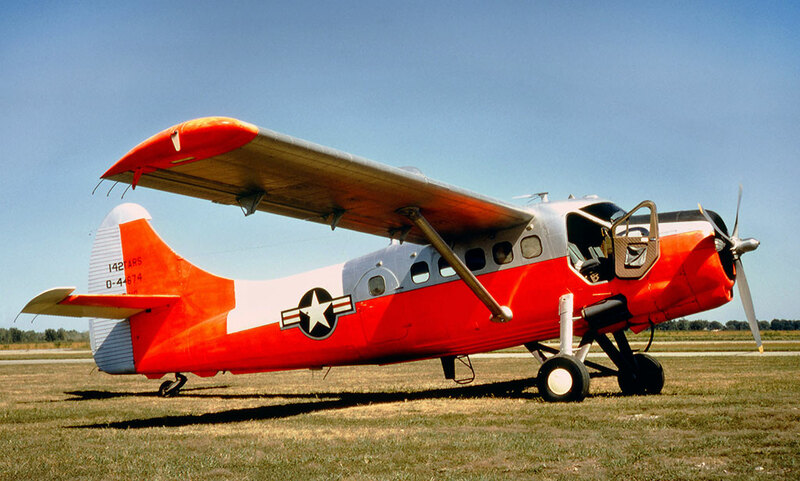 After Army service, on 8 August 1977 the Otter was transferred to the Civil Air Patrol (Southeast Region) and registered N5348G the following day. It was noted at the Wetumpka Municipal Airport, Elmore, Alabama (some nine miles away from Maxwell AFB), still olive drab and carrying marks N5348G, where it was converted to civilian DHC-3 configuration by CAP personnel. Its Certificate of Airworthiness as a civilian Otter was issued to the CAP on 10 November 1977, at which stage the Otter had total airframe time of 1,943 hours. It was not however put into service by the CAP but was instead sold to Red “S” Aircraft Sales of Leonard, Oklahoma by Bill of Sale 11 November 1977. They arranged for the Otter to be flown from the Wetumpka Airport across the country to Renton Airport at Seattle, Washington. En route it stopped off at the Evergreen Air Centre, Marana, Arizona where work was done on installing new radios during March 1978. It was noted at Renton during May 1978. 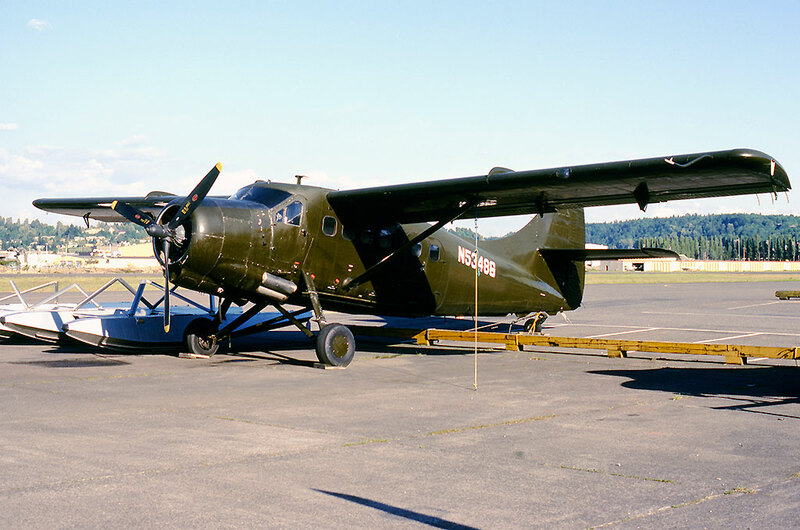 Red “S” Aircraft Sales sold the Otter to Warren C.Plummer / Sioux Narrows Airways and it was prepared for its new owner at Renton. A Special Certificate of Airworthiness was issued on 5 October 1978 for test flights within a 30 mile radius of Renton and its final C. of A. was issued on 16 October 1978, by which stage the aircraft’s total time was 1,980 hours. This was an increase of 37 hours since its military service, comprising the cross-country delivery flight and test flying. N5348G was then delivered from Renton to Winnipeg on foot of a Provisional Certificate of Registration as C-GGSL and Flight Permit for Importation Flight was issued on 12 October 1978, the Otter arriving at Winnipeg from Seattle. N5348G was de-registered on 30 November 1978 and the Otter formally registered as C-GGSL. Warren Plummer operated fishing lodges in the Northwest Territories, which were serviced by the aircraft of Sioux Narrows Airways. However, Otter C-GGSL was not retained for this purpose, but sold on to Parsons Airways Northern Ltd., of Flin Flon, Manitoba to whom it was registered on 11 January 1979, still as C-GGSL. 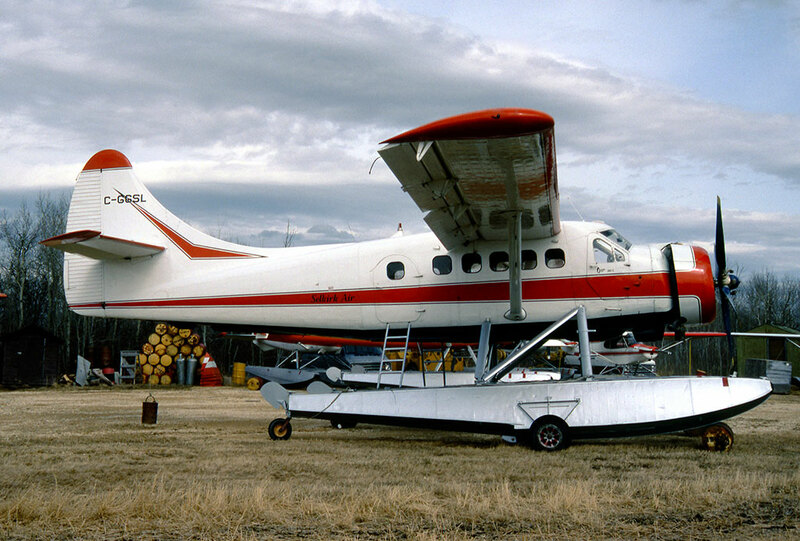 It served the bush country of northern Manitoba and Saskatchewan, one of nine Otters operated by Parsons Airways Northern over the years. 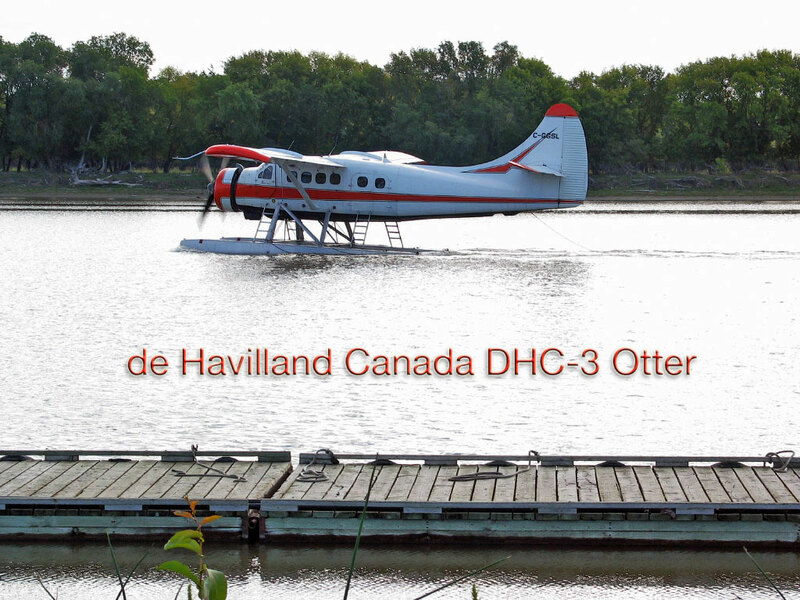 The registration of the Otter to Parsons Airways Northern was cancelled on 13 June 1985, on the sale of the aircraft to Central Air Transport Ltd., of Sioux Lookout, Ontario that day, joining its fleet of three Otters serving the bush country of northern Ontario. The registration of the Otter to Central Air Transport was cancelled on 25 June 1986. The Otter was sold and on 19 May 1987 it was registered to its new owners, Enterlake Air Services Ltd., trading as Selkirk Air, of Selkirk, Manitoba. C-GGSL was painted into Selkirk Air’s red and white colour scheme and operated on floats from the river beside the company’s base at Selkirk. It joined a fleet of Cessna 185/206s and a Beech 18 and replaced a Norseman. During 1990 the Otter was converted with the Polish PZL-1000 engine by Airtech at Peterborough, Ontario before re-joining the Selkirk Air fleet. It continued in service with the company for 18 years. The Otter was sold in May 2005 to Pipestone Air Inc., of Emo, Ontario, to whom C-GGSL was registered on 25 May 2005. Pipestone Air is associated with Pipestone Fly-In Outposts and provides transportation for the company’s fishing lodge guests. 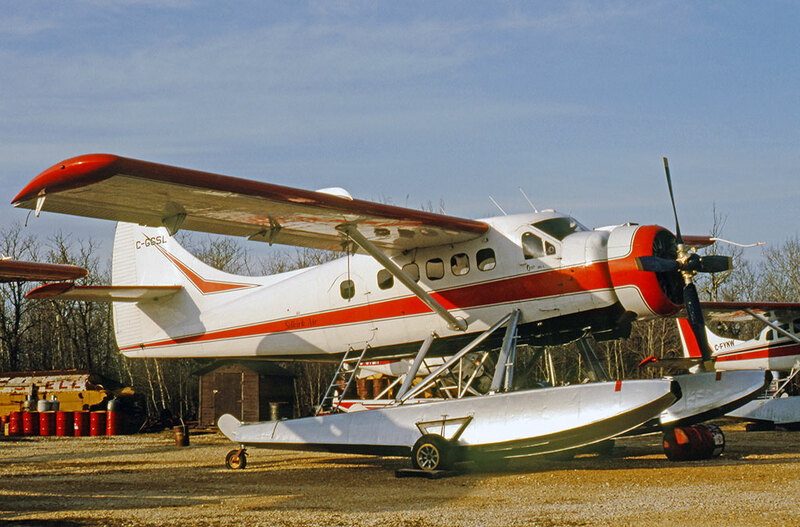 The Otter replaced Pipestone’s float-equipped Beech 18, flying fishermen from Emo to the company’s five fly-in fishing camps in the Wabakimi Provincial Park. As the company’s website proclaimed: “Only accessible by air, this vast region offers unspoiled wilderness beauty, free of roads, crowds and the stress of daily living. Listen to the rapids of the rivers, the cry of the loon and experience the silence, solitude and freedom of the wilderness. Our remote Canadian lakes offer some of the finest walleye and northern fishing anywhere”. With Pipestone Air the Otter retained the same red and white colour scheme it had carried with its previous owner. C-GGSL was still going strong with Pipestone Air during summer 2017.